Just after sunrise, the skies are a nice pastel blue in Big Bend National Park. 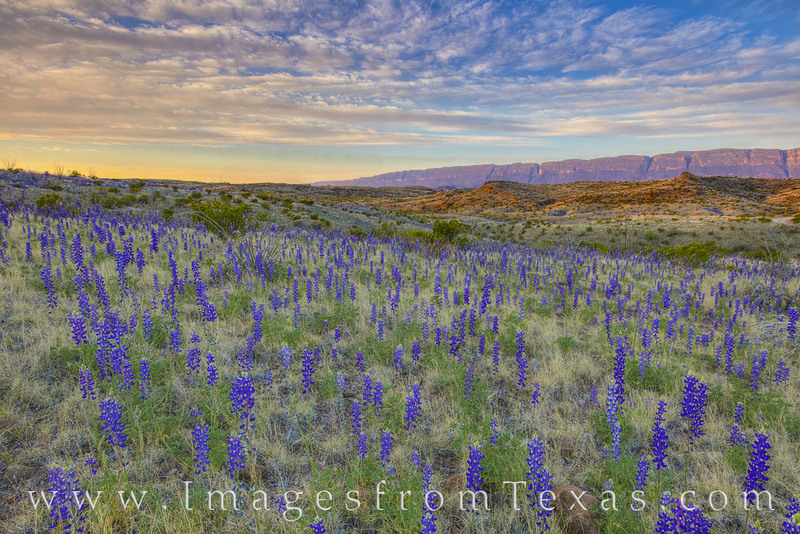 Just off the bumpy 4WD River Road West about 8 miles into the back country, bluebonnets filled the rolling hills south of the Chisos Mountains. Springtime was glorious as all colors of wildflowers brought life to this usually dry, rugged desert. Photo © copyright by Rob Greebon.